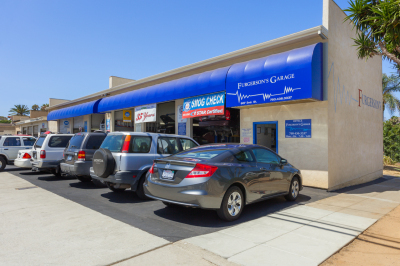 Furgerson's Automotive & Smog Training is North County's newest BAR-certified Automotive and Smog Technician Training Program. 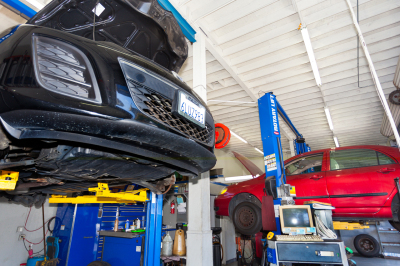 We are offering Smog Inspector Level 1, Smog Inspector Level 2, Smog Repair BAR Specified Diagnostic and Repair (Alternative ASE) classes to automotive professionals looking to obtain their Smog Inspector/Repair license through the Bureau of Automotive Repair. Come to class early and grab dinner at Beachside Bar and Grill directly across from Furgerson's Garage. 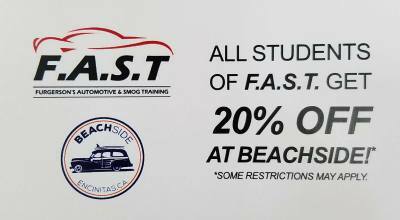 We offer a wide variety of class options and packages. Check our Upcoming Classes for dates that fit your schedule the best. Cash & Checks Accepted on the 1st day of class. Company P.O.s also accepted.